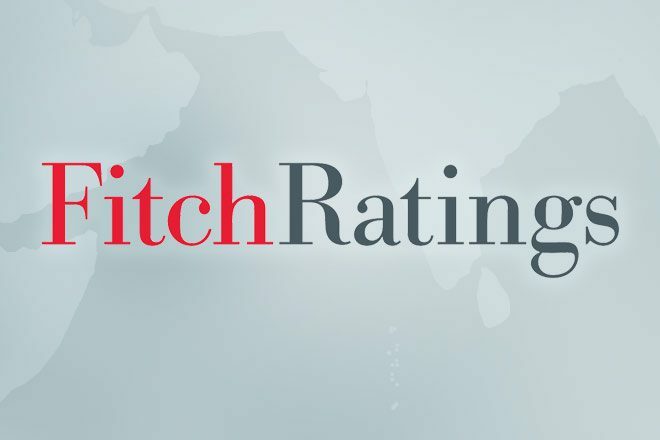 Oct 17, 2016 (LBO) – Sri Lanka Fitch has downgraded Pan Asia Banking Corporation’s (PABC) National Long-Term Rating to ‘BBB-(lka)’ from ‘BBB(lka)’ and confirmed ratings of four small, mid-size banks, a statement said. The Outlook on PABC is revised to Stable from Negative, the rating agency said in a statement. The National Long-Term Ratings on Nations Trust Bank PLC (NTB), SANASA Development Bank PLC (SDB) and Amana Bank PLC (Amana) have been affirmed with a Stable Outlook. Fitch Ratings-Colombo-17 October 2016: Fitch Ratings Lanka has downgraded Pan Asia Banking Corporation PLC’s (PABC) National Long-Term Rating to ‘BBB-(lka)’ from ‘BBB(lka)’. The Outlook is revised to Stable from Negative. The agency has also revised the Outlook on the National Long-Term Rating of Union Bank of Colombo PLC (UB) to Positive from Stable, and affirmed its rating at ‘BB+(lka)’. The National Long-Term Ratings on Nations Trust Bank PLC (NTB), SANASA Development Bank PLC (SDB) and Amana Bank PLC (Amana) have been affirmed with a Stable Outlook. A full list of rating actions is at the end of this commentary. The rating actions follow Fitch’s periodic review of Sri Lanka’s small and mid-sized bank peer group. The banks’ operating environment has become more challenging – as signalled by the downgrade of the sovereign Long-Term Issuer Default Rating to ‘B+’ from ‘BB-‘ on 29 February 2016. Fitch expects increased volatility in operating conditions to add pressure on the banks’ credit metrics. Fitch believes capitalisation is the main problem for the banks, due to weakening capital buffers from rapid loan-book growth and high exposure to retail and SME segments, which are more susceptible to deteriorating economic conditions. PABC and Amana are yet to meet the LKR10bn minimum capital requirement set by the regulator. Fitch believes capital-raising may also be a challenge amid increased country risk. The downgrade of PABC’s National Long-Term Rating reflects the continued deterioration in its capitalisation following above-industry loan growth (2015: 37% versus 21% for the industry, 2014: 27.2% versus 13.7%). The rating factors in Fitch’s expectation of an equity infusion, as PABC is required to increase its minimum regulatory capital to LKR7.5bn by 1 January 2017 and LKR10bn by 1 January 2018. Fitch believes that the bank’s earnings retention alone is not likely to be sufficient to achieve the capital standards, despite improved profitability. PABC’s regulatory NPL ratio improved to 4.4% at end-June 2016, from 5.7% at end-2014, mostly due to high loan growth, although the stock of NPLs also decreased marginally. ROA improved to 1.1%, from 0.6%, due to better revenue generation stemming from higher business volumes. The Positive Outlook on UB’s rating reflects the structural changes taking place through a shift in the risk profile of the bank’s loan book. This stems from a higher exposure to corporates as opposed to SMEs in the past, which could support better asset quality. However, UB continued to sustain rapid loan growth of 51.5% in 2015 and 20.5% in 1H16. This could put pressure on asset-quality if not managed. UB’s rating reflects its still-small franchise, weak profitability and higher capitalisation compared with that of its peers. The bank accounted for just 1% of sector assets in 1H16 and is among the smallest licensed commercial banks in the sector. UB’s profitability in terms of ROA has been gradually increasing (1H16: 0.67%, 2015: 0.41%), but remains low relative to peers. Fitch expects capitalisation to decline to levels more comparable with that of its peers in the medium-term, alongside rapid loan growth. Its Fitch Core Capital ratio decreased to 19.8% in 1H16, after being boosted to 35.8% at end-2014 following an LKR11.4bn capital injection from an affiliate of Texas Pacific Group (TPG). However, Fitch expects the bank to sustain stronger capitalisation in the medium-term than in the past. UB reported a sharp decline in its gross NPL ratio to 2.90% in 1H16, from 3.55% at end-2015 and 8.25% at end-2014. This figure excludes NPLs at its subsidiary, UB Finance Company Ltd (UBF), formerly a distressed company. UBF accounted for 31.3% of the groups’ total NPLs at 1H16. UBF’s asset quality remains a significant drag on the group’s asset quality, even though it has been improving. NTB’s ratings reflect its moderate franchise, high product concentration and declining capitalisation. The bank’s product concentration relative to peers remain high, with leasing accounting for 23% of gross loans at end-June 2016, and credit cards accounting for 11%. Fitch believes these exposures could put pressure on NTB’s asset quality. The bank’s reported gross NPL ratio improved to 2.8% at end-June 2016, from 4.2% at end-2014, due mainly to recoveries and write-offs in the leasing portfolio. The ratio of the bank’s reserves for impaired loans/gross loans stood at 1.7%, which was lower than that of its peers. The bank’s capitalisation, as measured by the Tier 1 regulatory capital ratio, decreased to 10.7% by end-June 2016, from 13.2% at end-2015 (end-2014: 14.2%). Fitch believes capitalisation could deteriorate further amid loan growth and the absence of capital-raising activity. A sustained decline in capitalisation could put pressure on NTB’s ratings. Fitch expects NTB’s net interest margin (NIM) to moderate in the near-term due to the rising interest-rate environment and planned increase in exposure to lower-yielding customer segments. The bank’s cost structure remains high compared with peers due to branch expansion, but we expect this to moderate with process improvements the bank has undertaken. NTB’s low cost current account savings account (CASA) improved to 31% of overall deposits by end-June 2016, from 25% at end-2013, but lags behind that of higher-rated peers. SDB’s rating captures the bank’s high-risk appetite in terms of its substantial exposure and rapid loan growth to the retail and lower-end SME segments. Fitch believes a capital injection would support SDB’s rating, as internal capital generation is not likely to be sufficient to cushion the decline in capitalisation as a result of rapid loan book expansion. SDB’s reported gross NPL ratio decreased to 2.34% in 1H16, from 3.76% at end-2014, largely due to rapid loan growth as the stock of NPLs remained flat. Fitch expects asset quality to deteriorate as the loans season. The bank continues to benefit from above-average NIM stemming from its loan book exposures, although the contraction in its NIM has lowered SDB’s profitability. The affirmation of Amana’s National Long-Term Rating reflects our expectation that the bank will increase its capital to meet the minimum level as directed by the Central Bank of Sri Lanka. In July 2015, the regulator granted approval for an extended timeline to comply with the minimum capital requirement which requires a minimum of LKR7.5bn and LKR10bn to be achieved by 1 January 2017 and 1 January 2018, respectively. Amana’s rating reflects its small and developing domestic franchise and limited operating history. It also captures Amana’s relatively high-risk appetite, primarily indicated through rapid growth in the retail and SME segments. This could put pressure on the bank’s asset quality if economic conditions deteriorate. Amana’s NPL ratio has remained at less than 1% since end-December 2015, supported by rapid loan book growth, while absolute NPLs have moved up moderately. Fitch deems the placement of Amana’s excess funds in overseas financial institutions to be less liquid than domestic government securities although tenors on these placements have been shortened. The bank has maintained a stable CASA base relative to peers, with a CASA of over 50%. PABC’s and NTB’s senior debentures carry the same rating as their National Long-Term ratings, as they rank equal with other unsecured obligations. PABC’s and NTB’s old-style Basel II Sri Lanka rupee-denominated subordinated debt is rated one notch below their National Long-Term Ratings to reflect the subordination to senior unsecured creditors. An upgrade of PABC’s rating is contingent upon the bank achieving a sustained and significant improvement in its capitalisation, alongside a moderation in risk appetite. PABC’s rating would be downgraded if loss-absorption buffers further deteriorate, either through aggressive loan book growth or greater share of unprovided NPLs. The upgrade of UB’s rating is contingent upon the bank’s ability to manage the risk that could stem from continued high loan growth, with a sustained improvement in asset quality and better risk management. The upgrade would also depend on an improvement in UB’s still-developing franchise alongside sustainable and improved performance similar to higher-rated peers. Capital impairment risks stemming from sustained rapid loan expansion or deterioration in asset quality could put pressure on UB’s rating. SDB’s rating could be downgraded if there is a continued deterioration in capitalisation, either through aggressive loan growth or greater unprovided NPLs. An upgrade would be contingent upon moderation of its risk appetite and sustainable improvements in asset quality and profitability. Amana’s rating may be downgraded if it fails to satisfy regulatory minimum capital requirements in a timely manner. A rating upgrade is contingent upon the expansion of Amana’s franchise and improved and sustained financial profile, similar to higher-rated peers. Senior debt ratings will move in tandem with the banks’ National Long-Term Ratings.